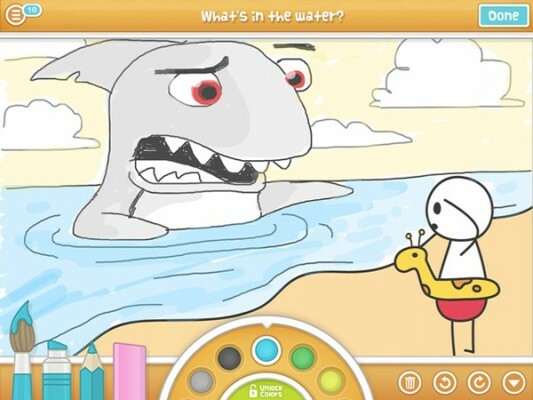 [Update: DrawQuest and Canvas have now published blog posts confirming this article and telling their users what’s going on. Moot has also penned his own eulogy for his startup, and will be writing more in the future in hopes of educating other entrepreneurs. What’s different about this trip to the deadpool is that DrawQuest was actually doing relatively well. Launched a year ago to inspire people to take on daily bouts of creativity through drawing challenges, it reached 1.4 million downloads, 550,000 registered users, 400,000 monthly users, 25,000 daily users, and 8 million drawings. Perhaps if DrawQuest was the plan all along, it could have survived long enough to grow and monetize, but it was on a short fuse. Moot originally raised a $625,000 seed round led by Lerer Ventures in May 2010 to start DrawQuest’s predecesor Canvas, a media-centric forum where people could post, remix, and discuss visual Internet art. Then he raised $3 million more in June 2011 in a Series A led by Union Square Ventures’ Fred Wilson and joined by SV Angel, Lerer Ventures, Andreessen Horowitz, Founder Collective, and Joshua Schachter. DrawQuest got some traction, but found that selling paint brushes in a drawing app is a lot harder than selling extra lives in Candy Crush. There’s just not the same emotional ‘I can’t play if I don’t pay’ urgency. “I definitely have a new appreciation for game designers,” moot tells me. After running “Wild West of the Internet” image-sharing site 4chan since 2003, moot was actually looking forward to not being the head honcho for once. “I thought we were doing great work and we could continue to do great work as part of a bigger organization. I had kind of psyched myself up for that, but then…” no deal materialized. “Ultimately we decided we wouldn’t go try to raise more money – it wasn’t really on the table because we just hadn’t created enough value” says moot. That’s a rare admission of failure in the success theater startup. Most founders trumpet their funding rounds and growth milestones but slink away when things go pear-shaped. Poole’s willingness to be humble and transparent is admirable, and could increase willingness of investors to back his future projects. So today he’ll announce that Canvas is shutting down in the next few days, and users will get an email with a link to download all their content. “I’m a free agent for the first time in over 4 years because I was in college when I dropped out to start this comapny. I’m definitely not trying to start another company anytime soon. I need to decompress and refelect on what I’ve learned and take some time to myself because it’s been a bit of an emotional rollecoaster. You start to appreciate why the best investors are the best investors. In our final hour everyone was so supportive. It’s made the difference between me being an emotional wreck and me being in as good of a place emotionally as you can be when you fail.